With Coupon Carrier, you can choose to only save the code to a contacts custom field or you may choose to also trigger one of your campaigns or automation emails. When Coupon Carrier receives a notification that a new contact has been added or assigned the tag specified in your configuration it picks one of the available unique codes and updates the contacts custom field. You must choose a custom text field to which we should save the unique code to. 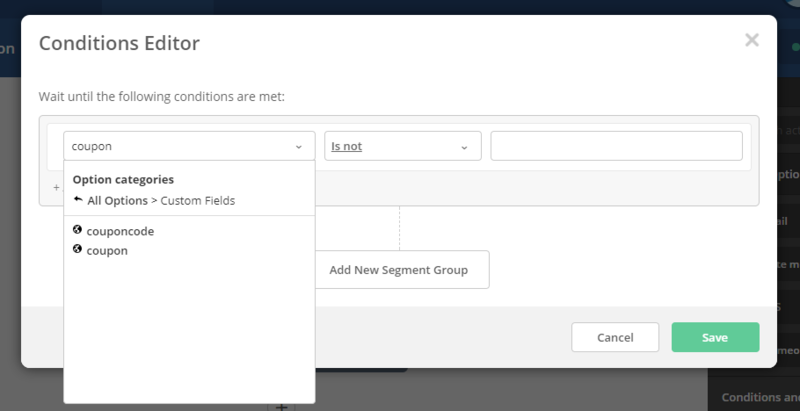 Note: Coupon Carrier will overwrite any existing data in the custom field you have selected so if you have more than one active configuration you should define a different custom field for each. 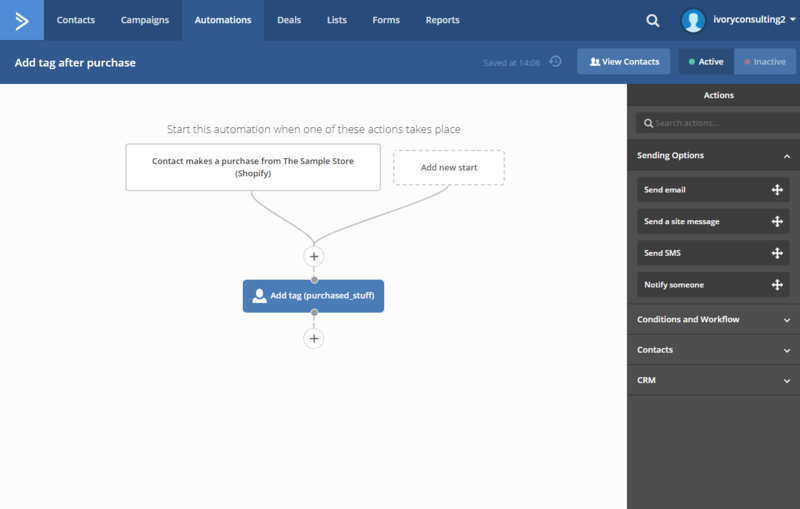 If you wish to, Coupon Carrier may trigger one of your standard campaigns or one of the emails created for your automation. Note that sending an email created in an automation will not automatically add the contact to the automation. Individual reports for your automation emails can be found in the automation UI or in the reports tab. 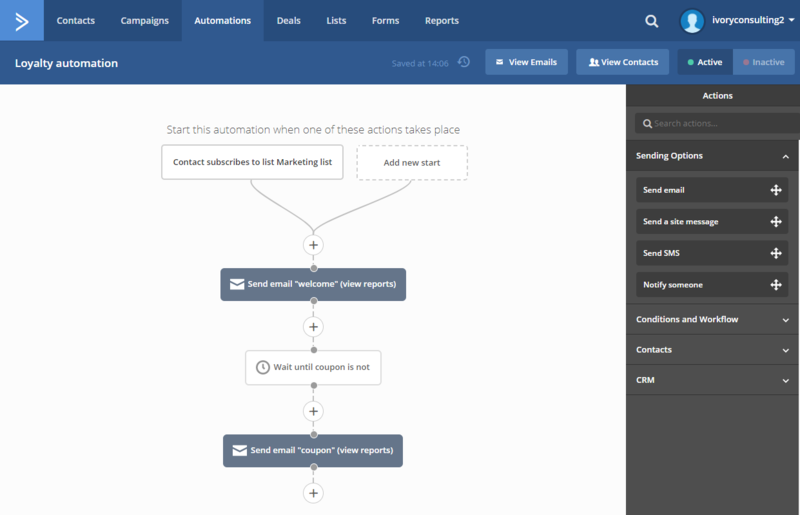 The key element in this automation is the wait condition after the "welcome"-email has been sent. We wait "Until specific conditions are met". We then choose "Custom fields" and the field which Coupon Carrier is set to update (in our case "coupon"). Then we specify that we wait until this field "is not", and leave the input blank, indicating that we wait until Coupon Carrier has assigned a coupon to the contact so that we may send it in the "coupon"-email. We've integrated with Shopify in order to get notified when a contact has made a purchase. We then apply the tag "purchased_stuff". The rest we leave up to Coupon Carrier. We set our trigger to be whenever a contact is assigned the tag "purchased_stuff". We opt only to update our custom field "coupon" to let our automation handle the rest. 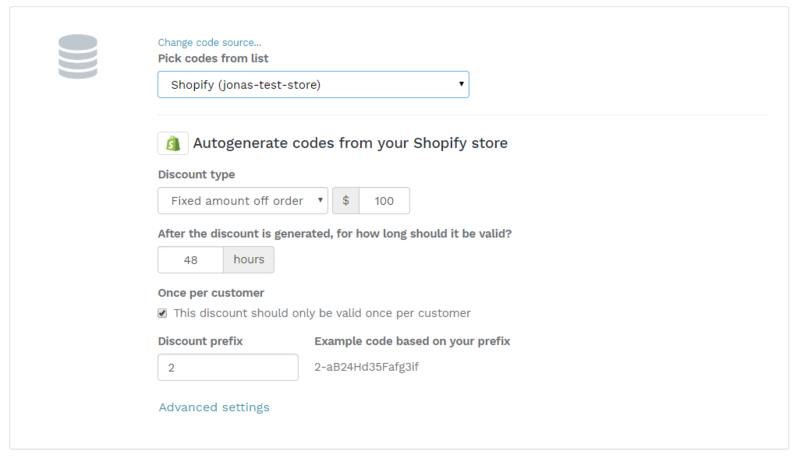 Since our shop is a Shopify storefront we may choose the Coupon Carrier Auto-generated code list, and with that generate codes on the fly which will only be valid for 48 hours after they've been generated.